Home / Latest Release / What is next in I Phone? Last year's iPhones saw a distinct separation between the full-screen iPhone X and the chunky bezeled iPhone 8 and iPhone 8 Plus. But the three new iPhones Apple reportedly have planned for 2018 should have more in common. With the anticipated fall updates to the iPhone likely a month away, rumors of the changes to Apple's next phones are really picking up steam, especially now that Samsung has thrown down the gauntlet with its Galaxy Note 9. Now that Apple's chief rival has rolled out its final flagship of 2018, how does Apple respond? With a trio of new phones, if the most commonly heard iPhone rumor is to be believed. 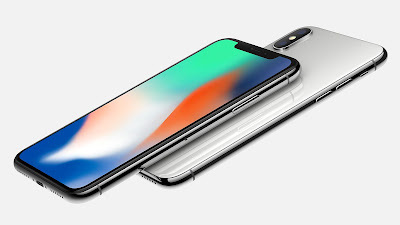 iPhones Will Start at $699: A Taiwanese market research firm forecasts that the entry-level 6.1-inch iPhone will cost between $699 and $749 as Apple tries to attract customers put off by the iPhone X's $999 price tag. That same report suggests Apple may also release an Apple Pencil that works with some of the new iPhone models. New iPhone Video: A video using dummy units of Apple's new iPhones shows all three models side by side. What is the release date for the new iPhones? Apple typically holds off on major iPhone updates until September, and there’s no reason to believe it will deviate from that pattern. But there's been no specific announcements for a release date, and most rumors point to a fall release for the new phones. For what it's worth, Apple unveiled the iPhone X, iPhone 8 and iPhone 8 Plus on Sept. 12 last year, and the iPhone 7 lineup debuted on Sep. 7, 2016. Rumors from earlier this year suggested that Apple would put all its efforts into this fall’s releases, meaning that the iPhone SE would be unlikely to see an update. Now that we're in August with nary a peep about the iPhone SE, it safe to say that rumor is panning out. iPhone X2: A little unwieldy, but it gets the point across that this is a successor to last year's phone. iPhone X, iPhone X Plus, iPhone X SE: This fits in with the Three iPhone rumor detailed below, especially if Apple goes with an all iPhone X-style design. iPhone X and iPhone 9: Apple keeps the current naming conventions to differentiate its high-end X lineup from more affordable options (for Apple, anyhow). iPhone 11, iPhone 11 Plus and iPhone 9: This naming convention comes from analysts at BlueFin Research, who argue in a report obtained by Baron's that Apple will drop both the iPhone X and iPhone SE from its lineup. The iPhone 8 and 8 Plus will remain as options alongside the three new phones, these analysts say. Evidence is mounting that Apple has at least three iPhone releases planned for the fall, just like it released the iPhone 8, iPhone 8 Plus and iPhone X in 2017. KGI Securities analyst Ming-Chi Kuo was the among the first to suggest that Apple would release three new iPhones in 2018. It's believed that one of those models will come with a 5.8-inch screen to match the iPhone X, but it'll be flanked by another featuring a 6.1-inch display. The largest of the bunch could deliver a display size of 6.5 inches, according to Kuo. Bloomberg also picked up on Apple’s three iPhone strategy, reporting that the 6.5-inch device would be a Plus version of the iPhone X, while the 6.1-inch phone would feature an LCD screen and cost less. RBC Capital Markets analyst Amit Daryanani thinks the 6.1-inch phone will be called the iPhone 9, while forecasting that the other models will be known as the iPhone XS and XS Plus. However, Taiwan's Economic Daily News claims that all three phones will carry the iPhone X branding. In a subsequent Mac Rumors post, Kuo shared additional details surrounding the rumored 6.1-inch model, including pricing and specifications. He says this variation will be the least expensive of the three new devices, and will incorporate an LCD display instead of an OLED one as found on the others. He also says this iPhone will only utilize a single lens for the rear camera, an aluminum body in place of glass, and lack 3D Touch. A leaked video from Shai Mizrachi that was posted by 9to5Mac gives us an idea of what to expect from at least two of the new models. The video purports to show both a 6.5-inch iPhone X Plus and a 6.1-inch phone (called the iPhone 9 in this leak, though it's unclear if Apple will use that name). Originally, the plan appeared to be that Apple would ship all three phones at once. (Last year, it staggered the release of the iPhone X after the iPhone 8 and 8 Plus already were out due to supply issues.) However, a new report claims that low yields of the LCD panel used by the 6.1-inch iPhone could mean that phone won't ship until November; the other iPhones would arrive in October, according to this report.